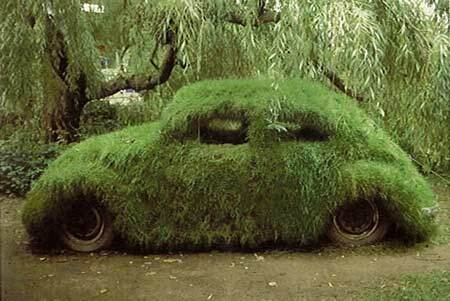 All New Environmentally friendly range of rental vehicles. Many People are going Green, and at Car Hire UK, we understand the importance of looking after the planet and working towards this. Rent a Car from CarHireUK�s Green range of Environmentally friendly and fuel efficient range of vehicles. Please visit our blog at www.carhireukblog.com for more information and hot topics currently at CarHireUK. We are working hard to become one of the UK's best fully environmentally friendly car rental companies, offering the latest range of vehicles, with the lowest possible CO2 levels, and low carbon emmission technology. Green Car rental really doesnt have to cost the earth no more! We are currently working with some major manufacturers to include the full range of Green rental vehicles, and will shortly offer this range online, and more importantly offer these vehicles at a reduced rate to encourage the use of them, and reward people that truly care! Help us understand what you are looking for, please feel free to visit our blog, and give us your feedback. Popularity of our green rental cars has soared and as such we are struggling to keep up with the demand. This is partly due to people deciding to take action on the global warming, and see it as a moral obligation. With our increasing dependence on importing oil has heightended reliance on other countries and looking to return. Green cars do seem to do more miles to per gallon, and are now just as attractive and more reliable then ever, making them a common sense option for many motorists whilst also been recognised as the solution to combat pollution in the UK, and around the world. Our Green Range of Quality Environmentally friendly hire cars at London Heathrow and London Gatwick Airport. Everyones talking about Green Car Rental, which is great providing its affordable, there is alot of specialist green rental companies out there which is great, so why is Car-Hire-UK different? As we aim to offer all of the green rental vehicle range, with the added bonus of making it more cost effective then if you hire a normal car from us. Like a quote for one of these Green Ranges at London Heathrow Airport? simply email reservations@car-hire-uk.com or use the contact us form and we will send you a quote within 2-6 working hours. London Heathrow Airport offering a great range of Green and Environmentally friendly vehicles, with low Co2 emmission, and allowing you to choose the car you drive at this location. London Gatwick Airport offering a truly all round all green range of low Co2 environmentally friendly range of gree rental vehicles, wih the latest specifications. We offer small economy cars through to large saloon and estate cars and the latest Hybrid Eco cars through to large saloon and estate cars and the latest Hybrid Eco cars such as the Toyota Prius.